Note to Everyone... Sadly Victoria DiPietro, a talented doll designer and one of our judges, recently passed away. Although being ill, she was very excited about the challenge, especially being a past winner. In her honor we are giving an award in her name. The award is the "Victoria DiPietro Grab Your Heart Award." Victoria believed a doll should grab your heart immediately! You can see the winner in the Baby Beginners category. Bly & Colton are 18" Twins! 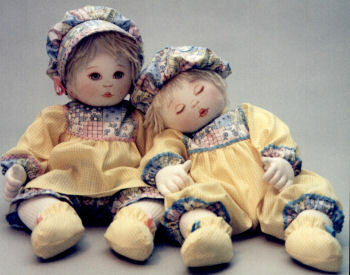 They are the original prototype dolls for the classic pattern with the same name and are part of the Oregon RagBabies(TM) family. Both Dolls are Original Designs and are Made by Kezi! They are also Signed and Dated By Kezi! They are in mint condition! 2017 Theme: Open... Any theme you desire! Challenge 2... Animal Doll! Any real-life animal you wish. It can be a baby or full grown animal. A bear, fish, bird, or any other animal. This year 50% of the votes will be based on online voting by other dollmakers and 50% will be by a panel of professional doll designers! 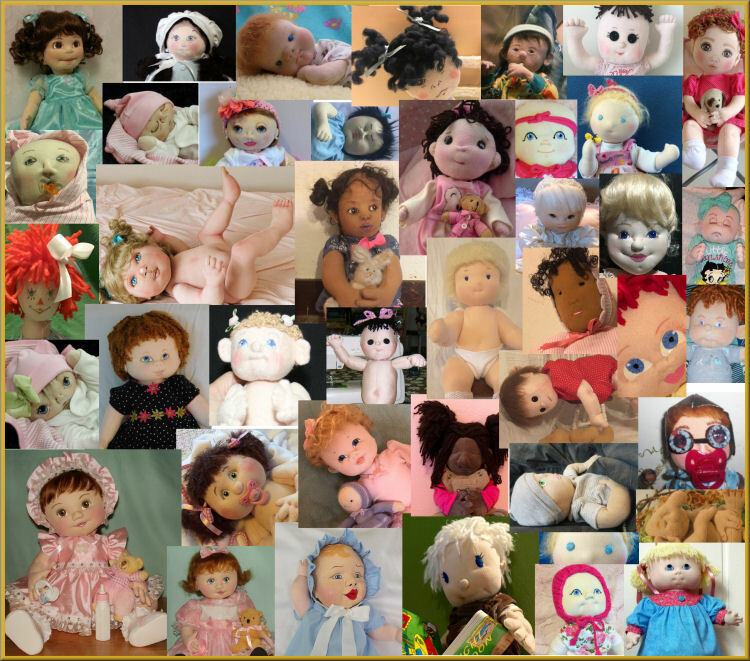 The People's Choice - Based on Online Voting will be awarded for the top choice in each of the skill Categories in both the Baby and Animal Doll Challenge!